It’s time to break open your summer wardrobe at last and there are a few key pieces that I have bought for this summer that I simply can’t do without. Number one on my list for day wear is capri trousers. I have tried walking around in leggings in the summer and they get horribly sweaty. Short shorts are too revealing for a stroll so I swear by a good quality pair of white or cream capris, which are the answer to keeping cool and looking stylish. This summer I will be pairing a pair of capris from Winser London with my Nike heeled trainers. Everyone is wearing heeled trainers in Monaco this spring. They are as comfortable as trainers but with the added height of heels – what’s not to like! For my top I have some light t-shirts, or when I want to be a bit smarter, how about the stunning silk v-neck also from Winser London? It is nice and floaty in the summer heat plus it has lycra in it so it doesn’t scrumple too badly. For the evening, as I suffer when I am cold, I always have a cashmere wrap with me – black for the winter and pastel for the summer. They are surprisingly warm and for evenings in the UK, they are absolutely ideal to keep warm in beer gardens. Yes Winser London has been a one stop shop for my summer wardrobe and along with a new set of bikinis, I am now summer ready! 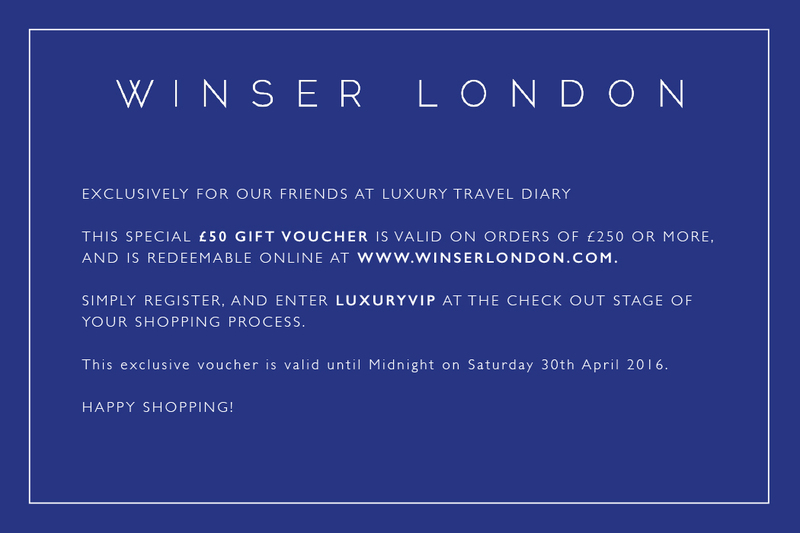 Luxury Travel Diary has an exclusive discount at Winser London for our readers. Register at www.winserlondon.com, and then enter the promo code (LUXURYVIP) at the check out stage of the shopping process. The code is valid until: Midnight 30th April 2016 and more details can be found below.